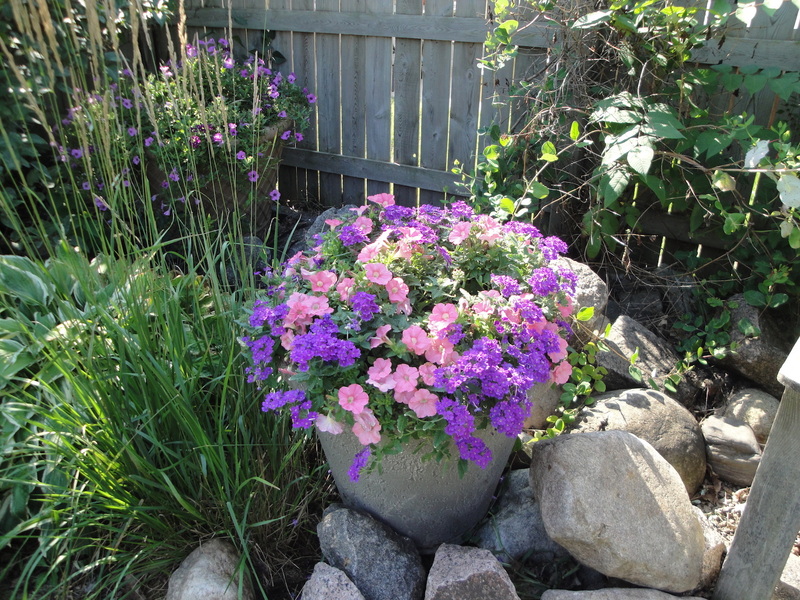 At last week’s Northern Green Expo, I had a chance to hear DeAnne Bennett, a garden maintenance consultant with Bachman’s, talk about how to create and maintain fabulous flower beds and containers. The plant combinations she puts together for homeowners in the Twin Cities are breath-taking. But, she clearly has a practical streak, too, and her advice on how-to build a container is worth passing on. A big striking container doesn’t need much help in the garden. 1. Use a big pot. Large containers require less water and look more impressive. So as long as the size is proportional to your house, go big. To keep her containers from being too heavy to move, DeAnne uses non-biodegradable packing peanuts on the bottom of quarter to third of the container, then covers the peanuts with landscape fabric. The pot drains well and the soil and peanuts are separate from each other. You can often find packing peanuts free, and by separating them from the soil, you can reuse them. 2. Add organic matter to the soil mix. For her containers, DeAnne mixes one-third organic matter, such as compost, with two-thirds potting soil. With an adequate supply of nutrients from the organic matter, you won’t need to fertilize as much — once a month or less. 3. Pick plants based on conditions. Sure, you wouldn’t plant a sun-loving moss rose in deep shade, but think about other conditions as well when choosing plants. For instance, if it is windy in your area, consider annuals such as fuschia or lantana or wind-tolerant perennials such as yarrow or shasta daisies. 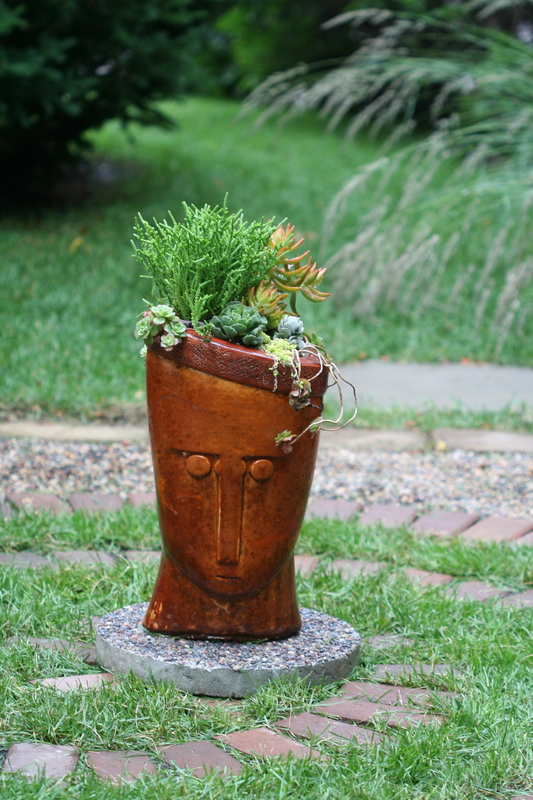 Another container tip: Place them in the garden. They fill in empty spots with color. 4. Stop fertilizing when it’s dry. Don’t force a stressed plant into overdrive. Just keep watering and wait for a break in the heat. 5. Toss your potting mix. This is a bit controversial — I know many gardeners who re-use the soil from containers from year to year — but DeAnne says, it’s done its duty and is now dead — so toss it and buy new.